VOXINDICA: ABOLITION OF PRIVY PURSES BETRAYAL OF CONSTITUTION? ABOLITION OF PRIVY PURSES BETRAYAL OF CONSTITUTION? Admirers of Indira Gandhi have often described the abolition of ‘Privy Purses’ as one of her principal achievements, along with the nationalisation of banks and the victory in the 1971 war. The first two were populist measures intended to derive electoral advantage in an era in which socialism was seen as a panacea for all social and economic ills. The third, viz. the Bangladesh war was in a way thrust upon India. To give Indira Gandhi her due she had the political will to stand up to Pakistan overtly supported by the USA. While China offered covert support to Pakistan there was the lurking fear that she might open up a second front in the war. The rulers of the erstwhile princely States which were amalgamated in the ‘Union of States’ as the Constitution described the newly emergent nation were to sign two documents known as the ‘Instrument of Accession’(IoA) and the ‘Standstill Agreement’ (SA). Under the IoA the princes were to surrender only Communications, Defence, External Affairs and some ancillary matters to the Indian Union. As late as February 1947, Nehru had assured the Negotiating Committee of the Chamber of Princes that neither the monarchical form of government, nor the integrity of the States, would be touched. […] The grant of Privy Purses to the rulers was a sort of quid pro quo for the surrender by them of all their ruling powers and for the dissolution of their States. The privy purses were thus an important component of Sardar Patel’s negotiated settlement with the 562 princely States which were amalgamated in the Indian union. The settlement was incorporated in the Indian Constitution under Articles 291 and 362. When they agreed to amalgamate their States in the Indian union, the rulers of the princely States had surrendered the towns and villages that comprised the States, thousands of acres of jagir land, palaces and other buildings, museums with their invaluable treasures, armouries and aircraft (which the larger states had) and other properties. The cash balances and investments of the States which were taken over alone amounted to ₹77 crore. This figure however excludes the cash balances of two large states, Hyderabad and Mysore as they were continuing States at the time. The interest accruals on these amounts alone would more than cover the payment of Privy Purses. In addition to all these assets, the rulers also surrendered a railway system of roughly 12,000 miles (which, to put in perspective was about one sixth of the length of the present track network) and rolling stock, without receiving any compensation. The Privy Purses were to be gradually reduced. At the time of independence, the annual outlay for the purses was ₹6 crore. By the time they were abolished by Indira Gandhi in 1971, the figure came down to ₹4 crore. To put this figure in perspective, it amounted to 0.1% of the estimated annual revenue receipts (₹3867 crore) for the year 1970-71. The Privy Purses were to be paid by the Indian states into which the princely Sates were absorbed. The rulers were initially apprehensive that they would be at the mercy of the whims and fancies of the popular ministries of the states into which their States were absorbed. The apprehension turned out to be not entirely groundless as in the case of Jammu and Kashmir, as soon as the State acceded to the Indian Union, Sheik Abdullah expelled its ruler from the state. He refused to honour the agreement to pay the negotiated Privy Purse to the Maharajah. The Government of India was forced to pay the Privy Purse and continued to do so till its abrogation by Indira Gandhi. As in all other matters, the Indian left-illiberal have one take on Jammu and Kashmir and quite a different one for the rest of India. The Privy Purses have been the subject of intense debate for long. For instance they argued for the perpetuation of the purely temporary Article 370; while on the other hand they contended that the Privy Purses were not compatible with an ‘egalitarian social order’. What could have cooked their goose, perhaps, was that some rulers joined C. Rajagopalachari’s Swatantra Party and in the 1967 general elections defeated many Congress candidates. Indira Gandhi was incensed by this and wanted to teach them a lesson by abolishing the Privy Purses. In 1969 her government introduced the Constitution (Twenty-fourth Amendment) Bill. 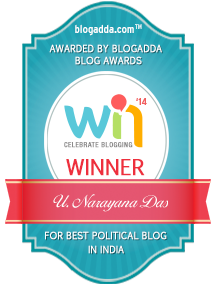 It was passed by the Lok Sabha with a majority of 332:154 votes but was defeated in the Rajya Sabha by 149:75 votes. Not one to bow to silly inconveniences like parliamentary procedures, she had a pliable President, V. V. Giri issue an order derecognizing the rulers. 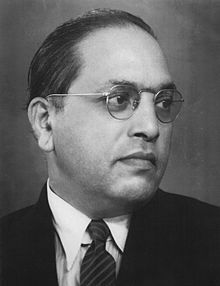 The September 6, 1970 order was challenged in the Supreme Court by N. A. Palkhivala (and others) in the famous Privy Purses Case and was struck down by the Supreme Court on December 15, 1970. After Indira Gandhi returned to power with a landslide majority in 1971, her government passed the Constitution (Twenty-sixth Amendment) Bill to abolish the Privy Purses. The Privy Purse settlements are therefore in the nature of consideration for the surrender by the rulers of all their ruling powers and also for the dissolution of the States as separate units. We would do well to remember that the British Government spent enormous amounts in respect of the Mahratta settlements alone. We are ourselves honouring the commitments of the British Government in respect of the pensions of those rulers who helped them to consolidate their empire. Need we cavil then at the small — I purposely use the word small — price we have paid for the bloodless revolution which has affected the destinies of millions of our people? The capacity for mischief and trouble on the part of the rulers if the settlement with them would not have been reached on a negotiated basis was far greater than could be imagined at this stage. Let us do justice to them; let us place ourselves in their position and then assess the value of their sacrifice. The rulers have now discharged their part of the obligations by transferring all ruling powers and by agreeing to the integration of their States. The main part of our obligation under these agreements is to ensure that the guarantees given by us in respect of Privy Purses are fully implemented. Our failure to do so would be a breach of faith and seriously prejudice the stabilization of the new order. In the light of what Patel said, the abolition of the Privy Purses can only be seen as one of the most shameful episodes in the history of our nation because it was betrayal of a solemn Constitutional guarantee. Sardar Patel persuaded the Constituent Assembly to guarantee payment of Privy Purses and preserve the rights of the erstwhile rulers. But the Congress betrayed him 20 years later by abolishing the Privy Purses. It is an agreement signed by the ruler of the princely State and the dominion of India subjecting the princely State to the Government of India Act 1935. The Instrument of Accession binds the State to the jurisdiction of the Union government for making laws in the areas of Defence, External Affairs, Communications and some ancillary matters. It is an agreement that assures continuance of any ‘existing agreements and administrative arrangements in the matters of common concern’ existing between the Indian State and the British government. It specifies eighteen administrative areas in the Schedule attached to the agreement. It also signifies the end of Paramountcy of the British government. Menon, V.P. (1955). Chapter XXV, “The Cost of Integration”: The Story Of The Integration Of The Indian States. Longmans Green & Co. London. pp. 324-328. Menon, V.P. (1955). Chapter XXVI, “Retrospect and Prospect”: The Story Of The Integration Of The Indian States. Longmans Green & Co. London. pp. 329-335. WHAT'S WRONG WITH THE US MEDIA?